OREO Muffins!? Yes! What else needs to be said? Try this amazing, super-simple recipe and fall in love with OREO all over again! BEAT egg and milk with a wire whisk until well blended. Add to flour mixture; stir just until moistened. Gently stir in chopped cookies. 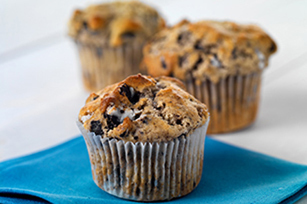 Spoon evenly into 12 greased or paper-lined medium muffin cups. BAKE 15 to 20 minutes or until a toothpick inserted in centers comes out clean. Remove from pan; cool slightly on wire rack. Serve warm. MIXING THE MUFFINS: Stir the liquid and dry ingredients just until moistened. (The batter can still contain a few lumps.) If the batter is mixed too much, the muffins will have a tough texture. 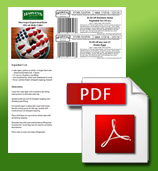 Print the recipe for Oreo Muffins!